The EOSCpilot is launching its 9th Webinar dedicated to the Governance objective. The Webinar will take place online on May 17th at 14:00 CEST. Topic of the Webinar will be the European Open Science Cloud Roadmap: translating the vision into practice. Presentation will be given by Athanasios Karalopoulos, European Commission, DG Research and Innovation. Take an active part in the EOSC Governance discussions. 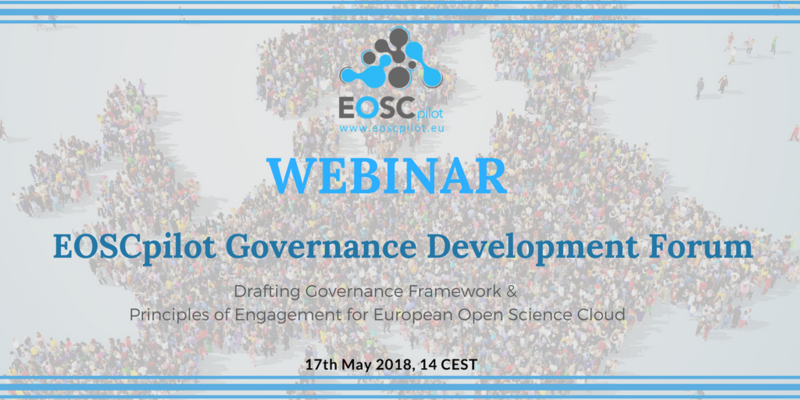 Join the next EOSC Governance Forum and see other outputs from past webinars!